Indianapolis, IN – I finally found my way back to the hotel room to rest my tired feet after a long day of walking. My Thursday at FDIC started with the General Session followed by a workshop instructed by Retired FDNY Deputy Chief John Norman. I had the pleasure of running into several North Carolina firefighters from across our state today. After a brief lunch with friends we began our journey around the exhibits, which opened today. 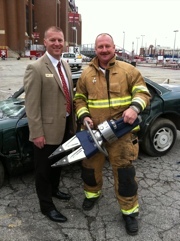 For those of you that have not attended FDIC, I encourage you to make at least one trip up to Indy to experience the enormous vendor show. Spread throughout the Indiana Convention Center, across South Street and into Lucas Oil Stadium, is what I believe to be the largest trade show in the nation. There is no way to take in all the exhibits in one day because of the sheer number of vendors and vast amount of products. 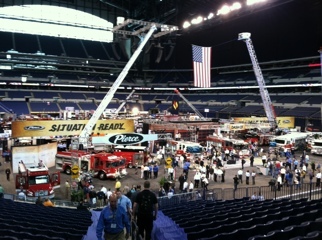 At FDIC you can expect to see anything and everything related to the fire service. 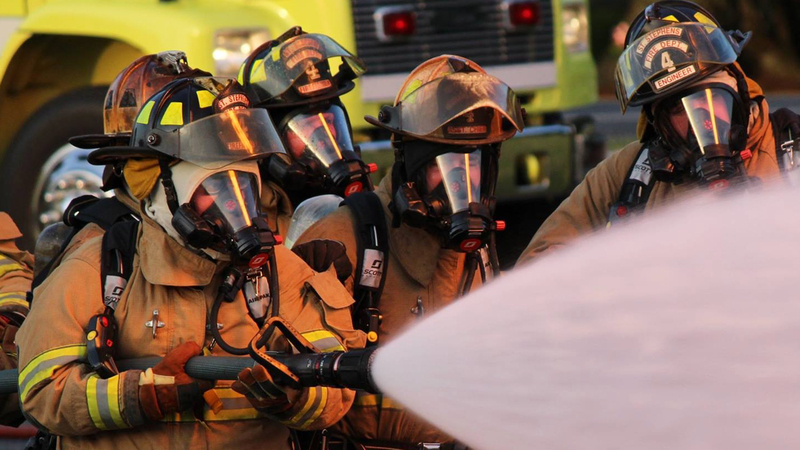 Many manufacturers utilize FDIC as the show to rollout their new products. 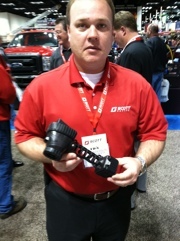 Scott Safety rolled out a new RIT-PAK III and Eagle Attack thermal imaging camera (TIC). Both appear to be great products for the fire service. At Hurst we found newly designed power units and their line of eDRAULIC tools. Hurst also had an area set up outside of the convention center where you could try out their tools and see for yourself how they work. 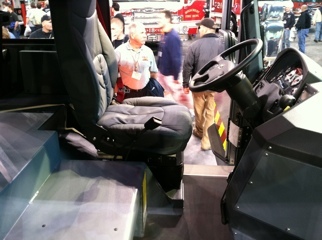 Pierce unveiled a new Dash CF Pumper with lots of room in between the driver and officer seats and amazing view out the front windshield. E-One introduced a 137′ ladder truck as well. Be on the lookout for these and other new fire service products coming to your fire station soon. Until tomm, be safe and take care !